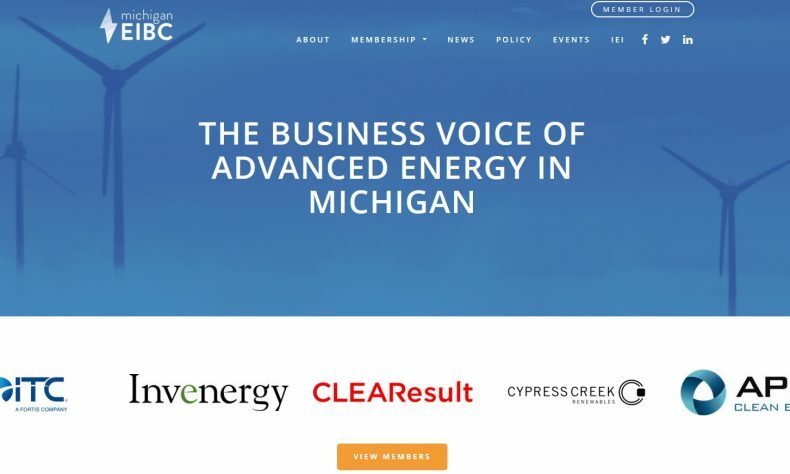 LANSING — The Michigan Energy Innovation Business Council will hold its seventh annual member meeting Tuesday, April 23 from 9 a.m. to 4:30 p.m. at Michigan State University’s Kellogg Hotel and Conference Center, 219 S. Harrison Road, East Lansing. The full-day conference is the EIBC’s most popular annual event, and provides attendees the opportunity to network and learn about the latest innovations and topics in the advanced energy center. The event brings together leaders in Michigan’s advanced energy industry, utility executives, policymakers, regulators, and more. To register for the event, visit https://www.eventbrite.com/e/michigan-eibc-7th-annual-member-meeting-tickets-55062210554. Tickets are $40 for students, $50 for state employees, $100 for EIBC members, $135 for members of qualifying non-profits, and $185 for non-members. State legislators and their staffers and event sponsors qualify for free tickets. Sponsorship opportunities are also available at levels from $500 to $10,000. Current sponsors include Sterling Heights-based Power Home Solar & Roofing, Novi-based ITC Holdings Corp., Grand Rapids-based Varnum LLC, Southfield-based Atwell LLC, Detroit-based Dickinson Wright PLLC, St. Paul, Minn.-based Energy News Network, and Detroit-based NextEnergy. More information on sponsorship is available at https://mieibc.org/wp-content/uploads/2019/01/2019-AMM-Sponsorship-Opportunities.pdf.